Captain Jack has officially partnered with blockchain-based entertainment platform, TaTaTu. Its founder, Andrea Iervolino, an Italian Hollywood film producer, who co-runs AMBI Media Group, are joining forces and putting their artistic and creative minds to work. The deal between TaTaTu and Depp allows for both parties to develop and produce films and digital content together. Captain Jack has officially partnered with blockchain-based entertainment platform, TaTaTu. Its founder, Andrea Iervolino, an Italian Hollywood film producer, who co-runs AMBI Media Group, are joining forces and putting their artistic and creative minds to work. The deal between TaTaTu and Depp allows for both parties to develop and produce films and digital content together. Depp, under his Infinitum Nihil production banner, and Iervolino, running AMBI Media Group with Monica Bacardi, will work together in his newly launched venture. Both Iervolino and Depp began working together in the J.M. Coetzee award-winning novel adaptation, Waiting for the Barbarians, that has already begun shooting this month. AMBI is producing the drama, starring Depp, Mark Rylance, and Robert Pattinson, with TaTaTu now coming on board. Having raised and sold almost $600 million worth of its currency through its ICO, making it the third-largest coin offering, behind Telegram and EOS, TaTaTu is a decentralized platform that rewards users for viewing content and referring friends and family to its platform. Users are able to earn TTU tokens by streaming films and related projects at no cost, voting on which future content should be hosted. Most importantly, all projects are monetized based on the number of views received, providing for real-time accounting on the Blockchain, minimizing the risk of alteration or threats of piracy. The entertainment industry has changed, encouraging content creators, including producers, actors, and actresses, to be rewarded for their work. As Iervolino emphasized to me, the connection between producers and the audience needs to be much closer. Two years ago, when we first learned about the Equifax data breach and most recently, Facebook’s latest reveal, Iervolino along with many others in the industry, have recognized that content is no longer free. Excitingly enough, I received a call from Iervolino breaking this news, and was able to speak with him exclusively about what this partnership means for TaTaTu moving forward. Andrew Rossow: What about Depp makes this partnership with TaTaTu unique as compared to anyone else? Andrea Iervolino: I think this is unique because we can produce a lot of content with much more creative freedom and production flexibility. It is a very important industry to be part of. With TaTaTu, we can produce a movie and be in direct contact with the audience, ultimately benefiting by enjoying the content and being rewarded for viewing that content. AR: What plans do you have for the initial stages of this partnership? AI: Right now, Depp and I are producing “Waiting for the Barbarian,” an adaptation from J.M. Coetzee’s award-winning book, also starring Robert Pattinson and Mark Rylance. Adding Ciro Guerra, a great director into the mix, allows his works, which have been watched and loved by many around the world, only adds to the value this endeavor will create. AR: What do you want the industry and users of TaTaTu to know about it since its launch 6 months ago? AI: TaTaTu is doing very well. For me, it’s a dream come true. We are entering into many partnerships, as you can see, and I am very happy about user-experience from the mobile application. We are able to collect a lot of good user-feedback and are working to produce continuous rounds of original content for our users. Our goal is to implement our TTU token in real-life engagements. Most recently, we have signed an agreement thanks to a partnership with Unicoenergia, our users can now earn tokens which can then be applied towards electricity bills at home. Andrew is a Forbes Contributor, former contributor for The Merkle, former Huff Post contributor. 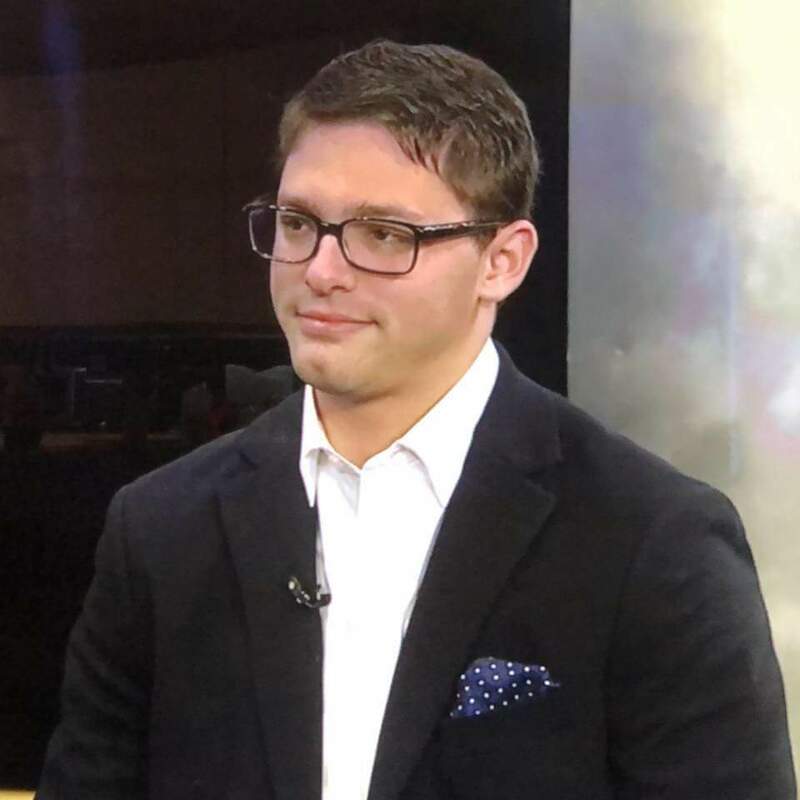 He also works as a consultant for ABC, CBS, FOX and NBC across Dallas and Ohio on the latest news in the technology law realm. He has been quoted in many Forbes articles and featured in national stories across the countries such as Cheddar on GDPR, and on podcasts such as Lawyer 2 Lawyer, Thinking Like A Lawyer, TheLegalTool Kit, and This Week In The Law. KJ Erickson Sends an Empowering Message to All the Fem . . . Leadership Lessons From Jason Remillard, President of . . .
CNBC “Fast Money” Host, Melissa Lee, Explores The Good . . .
Proxeus Releases Revolutionary Data Storage DApp, Brin . . .
Meet The Women Of The Blockchain: Swati Joshi, Founder . 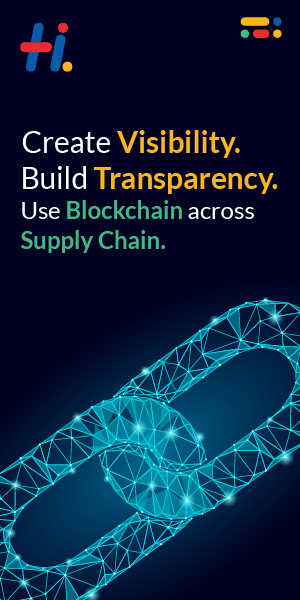 . .
Blockchain Can Transform Supply Chain Industry, Eximch . . .
PumaPay to be added to Wix Payments as a new recurring . . .
Zoom Builds a Booming Freelance Marketplace with its O . . .
NITI Aayog Plans to Use Blockchain to Remove Logjams i . . .
Is Citibank Heading to Adopt and Accept Cryptocurrencies? Gibraltar United to Become First Football Club to Pay . . .
Blockchain Startup Backed By Sequoia China Polychain I . . .
Cryptocurrency Mining That Doesn’t Destroy The E . . .
Investments And Spending In Blockchain To Reach Nearly . . . Hedge Funds Magnate Steve Cohen To Join The Decentrali . . .
Parsec Frontiers Heading To The Moon With Blockchain B . . . The Inside Story of a Discovery and Marketing Platform . . .
Cybersecurity is a bigger threat to Blockchain Ecosyst . . .
John McAfee for President! But Will He Run? India’s Banking Giant ICICI Spearheads the Integ . . .
Blockchain Technology : President Election, Women Bloc . . .
Vienna University to spearhead Multi-Blockchain transf . . .
Blockchain: South Korea Ban, Daimler AG New Crypto and . . .
Regulators in Japan suspends 2 Crypto exchanges for lo . . .
Blockchain: Wyoming Bill, China Support, BMW Ethical C . . .
GE Transportation becomes a part of Global Blockchain . . .
BLOCKCHAIN DAILY RUNDOWN (4th March, 2018) – Blo . . .
Chile’s National Energy Commission Is All Set To Use B . . .
Lenovo wants to use blockchain for Physical Document V . . .
“Blockchain Can Modernize the World,” Says Kim Dong-Ye . . . The state of Maharashtra extend their hands to the Blo . . .
Warren Buffett’s BNSF Railways Joins Blockchain In Tra . . .
Microsoft’s Blockchain – Manage your Digital Id . . .
Arizona-based RealBlock Introduced Blockchain In Real . . .
Australian based InQ Innovation partners with Indian B . . .
Now Students In India Will Have Tamper-Proof Certifica . . .
How Are Celebrities Embracing Blockchain?